Get well and stay well with the comprehensive approach offered at Central Jersey Spine & Wellness . We can help you on your journey to your best health through care services that keep your unique needs in mind. 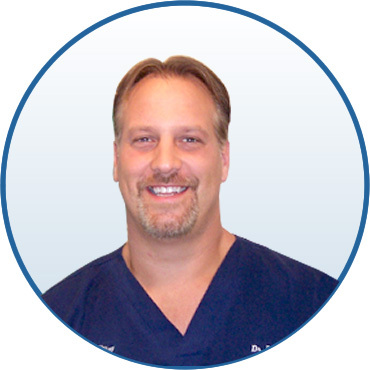 “As a chiropractor in Freehold and Manalapan, I get to help people who suffer from a variety of health issues. 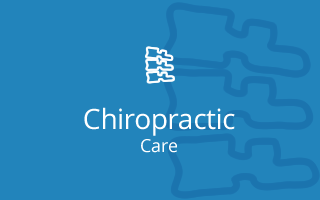 Naturally, chiropractors help traditional back and neck problems, but chiropractic has also produced wonderful results with a variety of other health problems. Newborns, seniors and everyone in between can benefit. I’d like to meet in our Freehold practice and discuss your health issue. If you’re a good candidate for chiropractic care, I’ll conduct a thorough examination, explain what is found, suggest a care plan and monitor your results. Your entire team has been the best of the best! Really NICE people. Excellent at what they do. A rare find in the doctoring world. More than confident they can help me. Great customer service! Everyone is very helpful and nice. I am very happy to find a place that makes me feel comfortable and that I know is going to work hard to get me feeling better! Very glad I made the decision to make an appointment at this practice and am very pleased with the way they explain how they will treat my condition. Dr. Murphy was great to deal with. He was friendly, patient and gentle with my treatment. He even called to see how I was feeling. 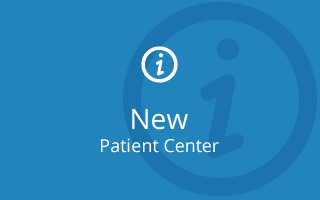 Dr. Murphy is extremely knowledgeable and was able to address my specific situation. After only 2 visits, I am sleeping better, have better mobility and range of motion. I haven’t felt this good in years! I’m highly confident that making this a weekly regimen will add to my health and well being. I highly recommend this practice. Doctor D took the time to explain everything. He’s super intelligent, very professional, and on overall great person. Andy seems very nice and knowledgeable. I look forward to working with him. I’ve used probably 10 chiropractors in my life. This was definitely the most thorough and informative visit ever. Thank you. The doctor was excellent and made my mom feel very comfortable. Thank you! Dr. Murphy was so thorough in his examination and explanations about my condition. I have been to many chiropractors over the years, and never had such caring and understanding like this. He didn’t rush through any aspect of my visit. I would certainly recommend your practice to family and friends. Dr’s and staff were very professional and knowledgeable and answered all my questions with superior confidence. Would highly recommend their services. Even the staff who assisted me with my physical therapy were very helpful… Thank you! Staff is very very wonderful and helpful! I do recommend to others. Excellent care and dedicated staff!! Dr. Murphy was amazing and so clear on what he saw and what he would like next steps to be. I have been going to the chiropractor since I was 5 years old so I have 52 years of Chiropractic care and Dr, Murphy impressed me greatly. 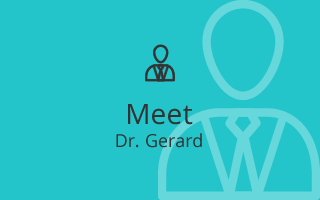 Keep up the great work Dr.Gerard, my knees never felt so good! My experience with Dr. Murphy and the staff at CJP&W far exceeded my expectations. For years, I had simply accepted the pain I was in. However, after consultation, clear explanations and a few weeks of treatment, I am now more mobile and given the skills to maintain this new and improved spine! I highly recommend this practice. I really appreciated the time you gave to customer service. I felt that everyone had personal pride in their work. It was a very positive first visit. Highly recommend this office because both the staff and doctors are very friendly and accommodating to the patients in every way. Everyone was very helpful, very friendly, and had a smile on their face! That’s very important to me, thank you and God Bless! It was a wonderful experience for me. I would highly recommend the practice to others. I felt much better when I left than when I entered. An extremely competent, professional staff in all areas. I want to say a big thank you to Dr. D and his staff. They are top notch, professional and compassionate. They truly practice what they preach in healthcare. Very happy with results to date. Office staff is super friendly. The experience was excellent and informative. Very happy with all the services and consultation. Would highly recommend. Terrific staff. The doctor listened and cared. His treatment program was to the point. I would highly recommend Dr. DeBernardis and Dr. Murphy. The overall friendliness of the staff and the information I received about my condition was very helpful and explained to me in a way that I was able to understand. Dr. D went out of his way to explain my health insurance and what needed to be done so good advice was given. Thank You! I was very impressed by the efficiency of your whole office. This is my first experience using a chiropractor. I had always been very hesitant. My daughter has been there and has been very pleased. She persuaded me to go. I have been very satisfied with my whole experience so far and am sorry I did not go sooner. The entire staff, physical therapists and Dr. Murphy are excellent. I would definitely refer anyone to use their services. I have never had a first time visit with a doctor that took as much time with me as Dr. DeBarnardis. The experience at your practice was well worth my travel time. Extremely pleased with my chiropractic care by Dr. Murphy. Also, the office staff is very nice and helpful. Never a long wait. Everyone from front desk to staff was A+. I’m looking forward to my continued therapy with Freehold Chiropractor!! The Dr covered all the bases. He explained every last detail. He took his time in the examination process & addressed all of my concerns. Unlike other places – he took his time to understand my issues – at no point during my appointment did I feel rushed. Felt better when I left. Very happy to find Dr. Murphy. I am very confident with his skills and looking forward to his treatment program. He really cares about his patients and is just a great chiropractor. Dr. Murphy was terrific, and I trust him to help me restore my health. Staff was polite and professional. Can’t believe what a great staff you have! I told my daughter about you and will tell all my clients!!! Everyone was very helpful and considerate. Everything was explained fully and we didn’t feel rushed. Very positive first experience with doctor. I appreciate the help, professionalism, and timeliness of the office staff in researching and confirming my insurance coverage for the required services. I am also very, very pleased with the time, attention, interest, and competence that Andy is devoting to my care.